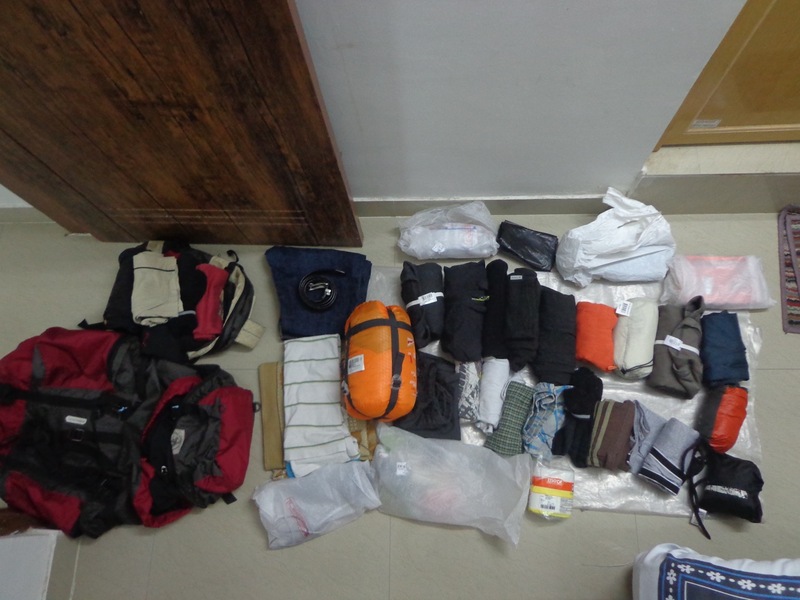 Some basic clothes including t-shirts, shorts and a pair of jeans, spare socks, sleeping bag, liner and a bed sheet, warm inners, head cap and neck warmer, a light jacket and a slightly heavier jacket, two pairs of hiking pants, my laptop, medicines, toiletries, electronic equipments like chargers and connectors, a daypack, rain protection for myself and my bag and two books. 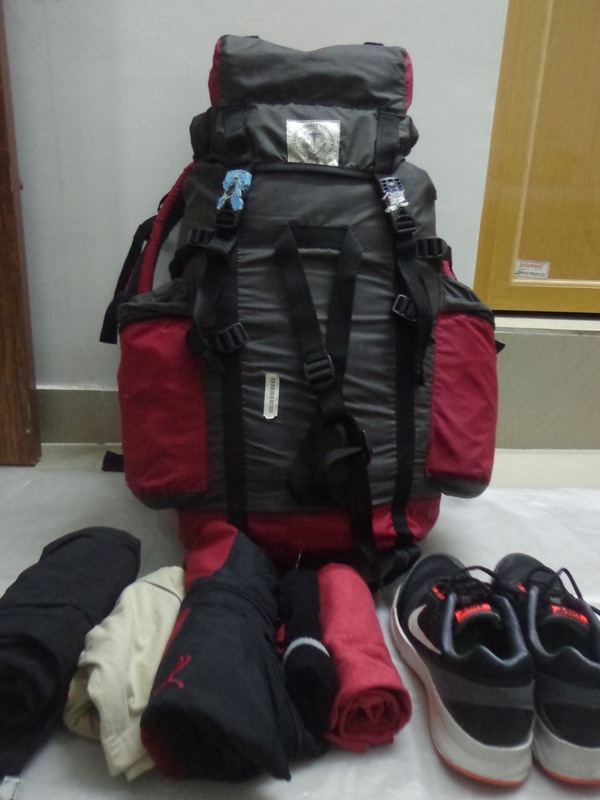 The stuff that eventually went into my bag. The laptop and the camera (used that to take this photo) are missing. My train to Pathankot, Udhampur AC Express is scheduled to depart at 22:15 or that’s what I got to know from the internet. 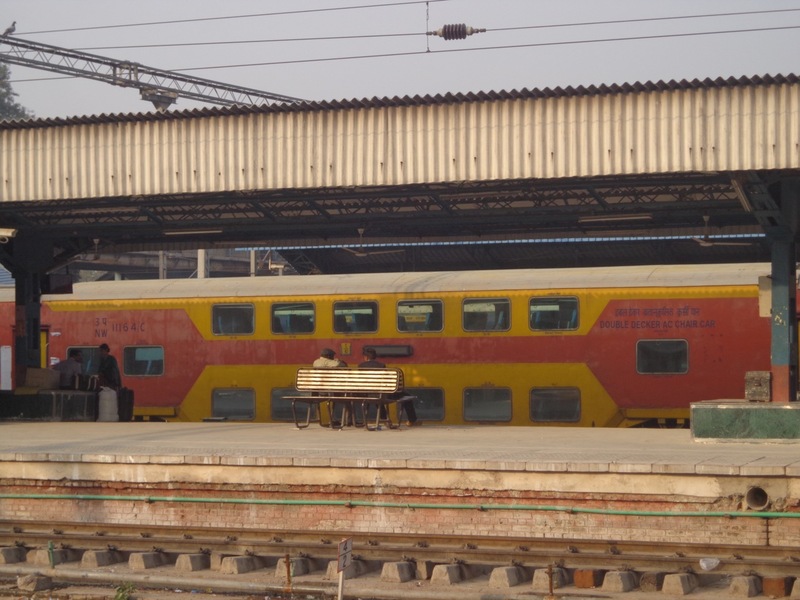 Since I wasn’t sure of the timing and the ticket did not have the time printed on it,I decided to finish my lunch at Delhi T1 terminal and get to Delhi Sarai Rohilla (DEE). Indian Railways occasionally reschedules trains and this seemed to be one such case. 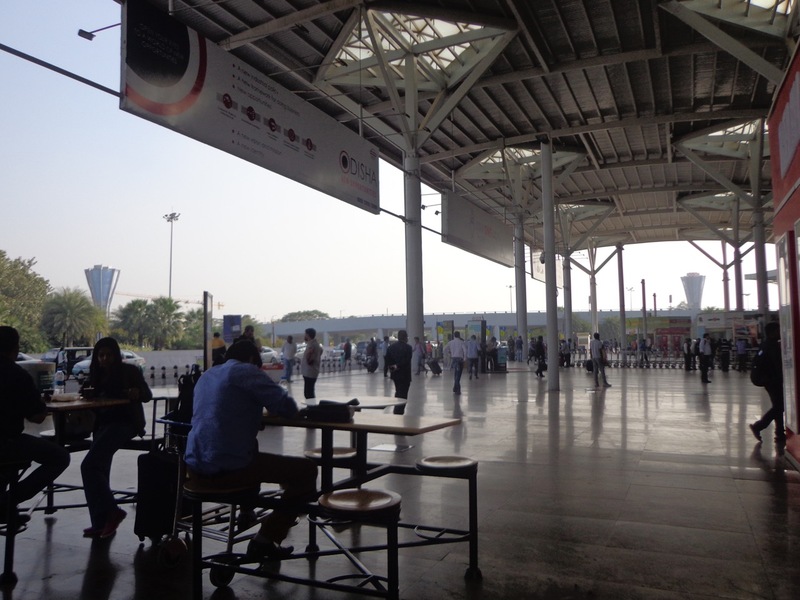 Delhi T1 Terminal, where I had my lunch. The journey was a tad bit expensive as I did not want to waste time swapping modes of transport (that’s what Google Maps showed). I travelled in a rattling, dilapidated Maruti Omni that I got from the prepaid taxi stand. 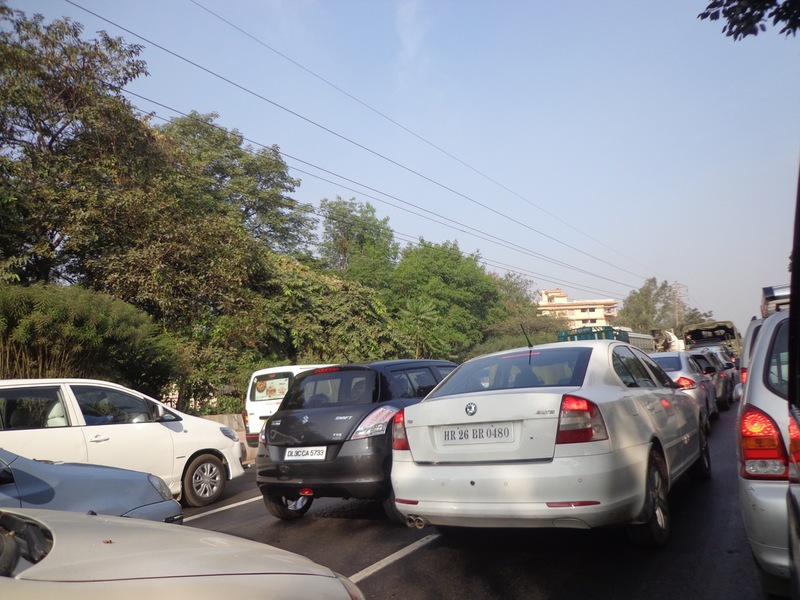 Since it is run by Delhi Police, traveller’s safety from errant drivers is nearly guaranteed. However, whether the vehicle would reach its destination without running into mechanical troubles is not guaranteed. En route to Delhi Sarai Rohilla. Even on a Saturday, the Omni moved at a snail’s pace owing to the traffic. At least, the roads are well paved unlike Bangalore. 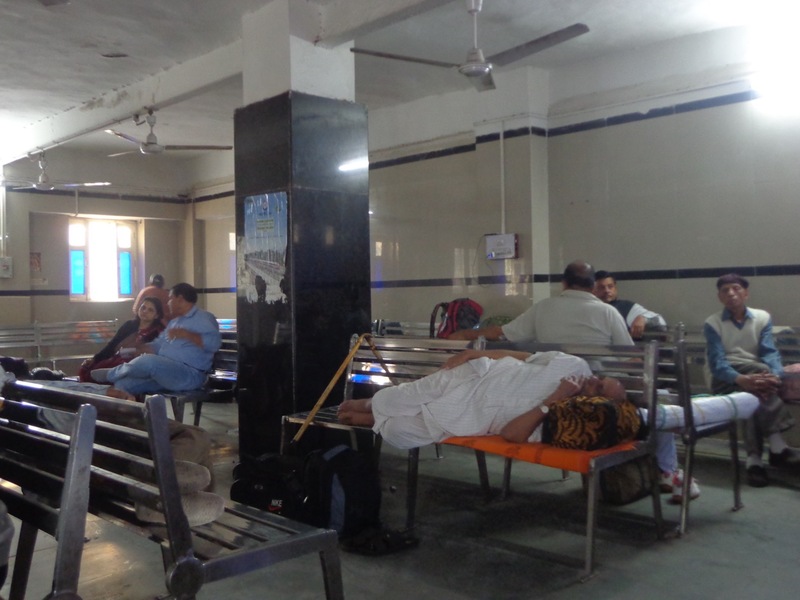 The person at the enquiry confirmed the timings of Udhampur AC Express (22401) and directed me to the waiting room. This station has a relatively clean waiting room for AC coach passengers. It’s definitely cleaner than the Guwahati waiting room I had been to last year. It could be the effect of Swachh Bharat Abhiyan, too. In fact, there are posters all over the place promoting the campaign. I took shelter in DEE waiting room. 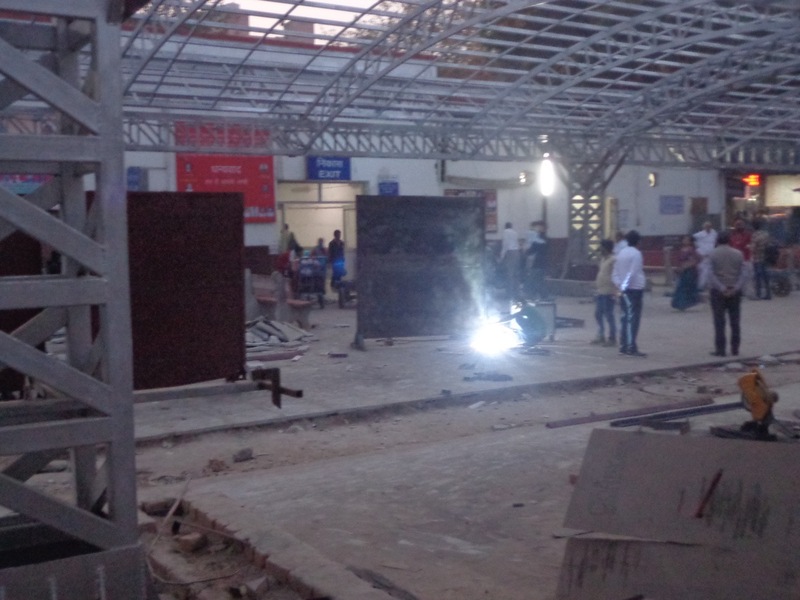 Delhi Sarai Rohilla station is getting renovated. The entire front yard is under construction. I saw a double decker coach for the first time. I had to wait for seven hours. Reading a book is the best way to do so. Thankfully I had issued two books from my local Just Books library. I started off with the more difficult of the two. 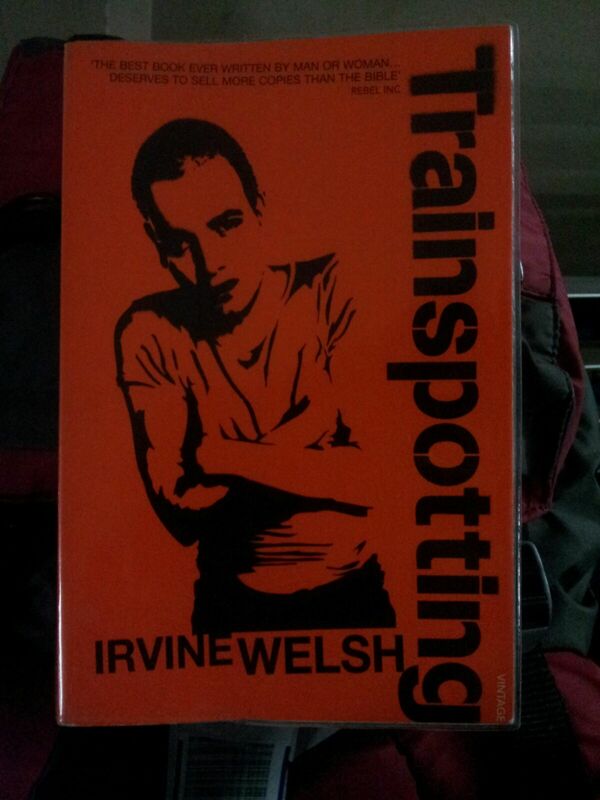 Crazy book about drug junkies and punks. The entire text uses distorted spelling to emphasise dialects. For a non-native English speaker, that makes it a difficult read. 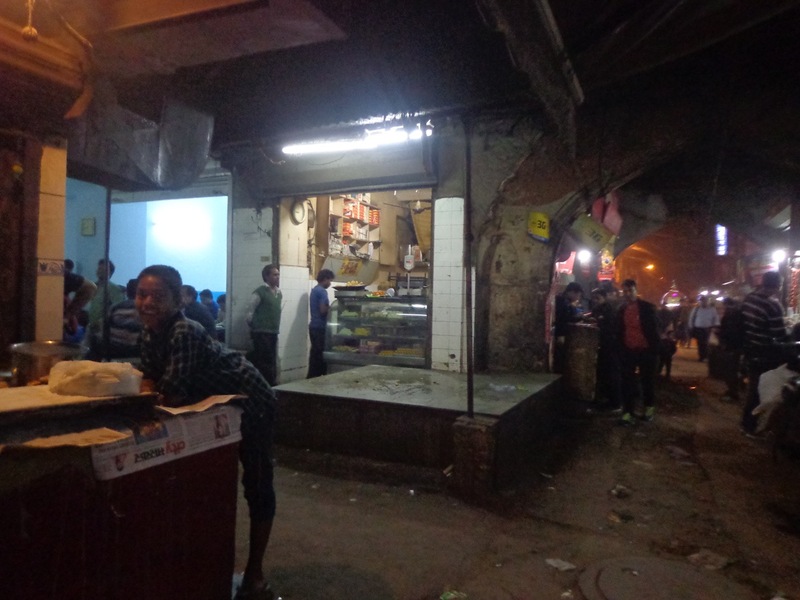 I had my dinner at a small shop in an alleyway opposite to the station itself. It was a shady place but there was a large crowd and the food was tasty. The shop doesn’t have liquor license but allow people who get their own drink. They are only allowed to sit in the last two tables near the end and must keep the liquor bottles hidden at all times. The owner even scolded a guy who had placed his bottle on the table. All the other tables were occupied by passengers like me. The shop making roti owns the area opposite to it. That’s the seating place. As I post this, my train is already stationed at the platform. It is waiting for its diesel engine to get attached. If the train is on schedule, I will reach Pathankot by 5:30 am. Waking up on time in cold weather seems like a more daunting challenge to face.